The Walt Disney World Swan and Dolphin Hotel offering the royal treatment to its youngest visitors in its newest packaged deal called “Love Your Family”. With the deal, kids 10 and under will get access to a lot of extra perks, one of which is free dining. Children will be able to get a free meal with any purchase of an adult meal at the hotel’s character restaurant Garden Grove, where families can enjoy one-on-one time with their favorite Disney characters. Upon arrival at the hotel, kids will also get special glasses to use when watching the Magic Kingdom’s free nightly fireworks show. They’ll also get a kids’ guide to Orlando, which is full of plenty of restaurants, shops, and attractions around the city that would be well suited for families. On top of it all, everyone staying under the Love Your Family package still has access to all the normal amenities of a Walt Disney World hotel. This includes free transportation, and access to Extra Magic Hours each night. 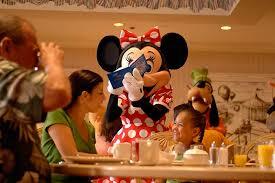 With the latter perk, guests can access late hours at one of the four Disney theme parks. The Love Your Family package is running from now until December 24th, 2013. The Walt Disney World Swan and Dolphin Hotel is operated by Starwood Resorts and is conveniently located in the Epcot Resort Area. It offers contemporary accommodation options, along with a pool, spa, onsite restaurant, and much more.